A meeting took place between Dr. Joan Carretero, President of Reagrupament, and Mr. Josep M. Vila d’Abadal, Major of Vic (Osona),and also President of Associació de Municipis per la Independència (that is, Association of Municipalities pro-Independence, AMI). Mr. Carretero offered Reagrupament full cooperation to AMI, as previosly did on the occassion of Reagrupament´s IV National Assembly, held also in Vic in June 2011. Also, Dr. Carretero thanked Mr. Vila d’Abadal for backing the European Citizen Initiative introduced by Reagrupament, that requested the European Union to keep European Citizenship to the population of any new Nation born from a secession of a Member Estate Territory. In fact, Vic City Council was the first to back this Initiative with the unanimous support of all parties represented. During this meeting Dr. Carretero also made himself available for any task AMI required. At present this association is integrated by 485 Municipalities, 24 counties and one Province Administration. We should not forget that Vila D’Abadal presented this Initiative for the first time to the fourth Reagrupament’s General Meeting that took place in June 2011 in Vic (picture). 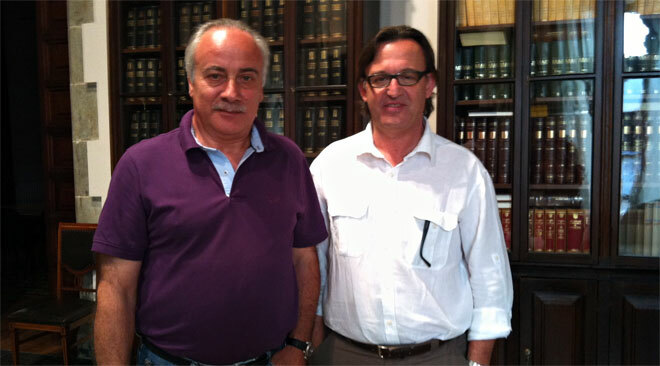 Finaly, Dr. Carretero, suggested to the Mayor to dedicate a street to Homilies d’Organyà. Such proposal will be suggested to many municipalities of Catalonia. Vic’s Major found this proposal as very interesting soon a Project Dossier is being prepared in order to implement it. The above proposal is drawn by Reagrupament now that Catalan language is having a hard time due to constant prosecution by Spanish Administration. It’s meant to be Reagrupament’s answer to Spanish Courts Sentences against Catalan Language. 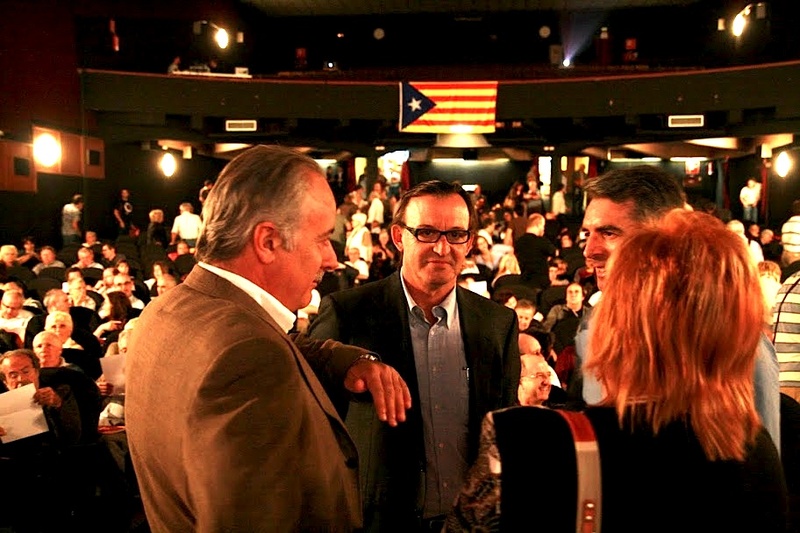 It also pretends to reinforce Catalan’s Society self-esteem and their commitment to their Language and Culture. Homilies d’Organyà are among the oldest known documents written in Catalan language, dating between end of XII century and beginning of XIII century, these documents are strong symbols which Reagrupament want present in all or most Catalan Municipalities.